It's no secret Montreal is a foodie mecca, but there are several hidden gems that never get mentioned in blogs or anywhere in the media and yet keep attracting full houses as the years go by. Montreal has romantic restaurants on every bustling street corner. There are swaths of Montreal businesses worthy of mention on this list, but we've pared it down to 16. Romance and sensuality are part of what makes Montreal, well, Montreal. You'll find fine French cuisine in a down-to-earth, come-as-you-are locale one block south of Mont-Royal Avenue in the Plateau. You'd be lucky to fit more than two dozen people in the small, charming open-kitchen dining area. It's a bring-your-own-wine restaurant too, a bonus considering how well-executed the dishes are, from duck magret to fall-off-the-bone lamb. A lovely spot when you want to treat a carnivorous loved one to high-end cuisine without the dress code and a hefty price tag. Think tables d'hôtes with salad or soup and coffee or tea under $40. L'Express has been a Montreal institution since it opened its doors on St. Denis Street in 1980, a French bistro of your dreams. Go for your own pot of unlimited gherkins, the bottomless bread basket, the loud but elegant crowd, and of course, the wine. The wine list is out of control, so long that you'll probably need help choosing, but prices vary greatly, so you're sure to find the right bottle. Visit if you're in the mood for a stylish yet unstuffy Paris-like ambiance with ace service, wine at any price point, and excellent food. Try the steak tartare with fries, taste the salmon, and take a few risks, like with the tender and sweet calf liver steak. The dress code is all over the map and it is a little noisy, but this place still reeks of romance. Lyon native Daniel Boulud, the Michelin-starred chef who launched more than a dozen lauded restaurants in New York City and the world over, opened Maison Boulud in Montreal's prestige-laden Ritz-Carlton Hotel in 2011. It's been a rave fest ever since. The decor, the service, the impeccable plating... the only thing that might hurt is your wallet. Anticipate spending $300 for two at the very minimum, not even yet counting in the wine, at this swanky downtown destination located in the heart of Montreal's Golden Mile district. As for the dress code, it's "casually elegant, no jacket or tie required." Because who doesn't want to be treated like royalty? Enter Europea, a fine-dining establishment in Montreal's downtown Golden Mile district deemed by TripAdvisor to be the best restaurant in Canada in 2015. As with Maison Boulud, you will pay dearly for your meal, but consider it an investment in an experience, a memory unlikely to fade anytime soon. This is where you have one of the best meals of your life. This is where you propose marriage to a loved one. Europea is whimsical elegance unsurpassed. You'll see what we mean by the time you're presented with the "tree of guilty pleasures." Don't skimp on the duds. Dress code is "business chic" so look the part. Hoogan et Beaufort opened with a bang in late 2015. Its owners are none other than Les 400 Coups' former chef and sommelier, Marc-André Jetté and William Saulnier. Located in the Angus Shops area, a revitalized railcar manufacturing complex, Hoogan et Beaufort features industrial stylings, high ceilings, and exposed overhead beams courtesy of the restaurant's not-so-distant past. Also equipped with a wood oven, Hoogan et Beaufort is a place where you bring the food-obsessed loves of your life who want to experience creativity unbridled, the vanguard of Quebec's market cuisine movement. It's a joint for folks who relish new flavors and casual, chatty atmospheres over traditional dishes served in formal and discrete ambiances often associated with haute cuisine. From suckling pig and braised lamb to dry-aged Prince Edward rib steak and oysters, dinner for two can easily reach $200. Wine, lamb, and all that jazz. That's how they roll at Modavie, an Old Montreal haunt with a menu that mixes French bistro with Mediterranean fare to the tune of live jazz. If it's winter, prelude the evening with an outing to Old Montreal's gorgeous Bonsecours Basin skating rink. If it's any other season? Try an après-dinner walk through Old Montreal. Doesn't get more romantic than that. Nothing quite like raw fish to get those juices flowing. Junichi Ikematsu is arguably at the top of Montreal's crop of sushi chefs. He is a formally trained Japanese sushi chef who is a master of the craft in the form of classic sushi and sashimi fare done right within the confines of his Laurier West restaurant, Jun I. No razzle-dazzle plating here, lovely presentation all around, but you can tell Ikematsu wants the fish to do the talking. Count on spending a little over $200 for two, wine and tip included. There's no dress code but look clean and presentable to fit right in. Sharing from the same communal plate while eating with your hands has a way of bonding diners together, at least for the span of a night, which is but part of Le Nil Bleu's appeal, arguably Montreal's best Ethiopian restaurant. There's something for everyone on the menu too, including vegan and gluten-free options. The tasting menu for two at $60 is what many return for, with its variety of lamb, chicken, filet mignon, chickpea, split peas, lentils and veggie ​samplers served with injera, a gluten-free spongey sour flatbread which serves as a scooping utensil and subtle flavor backdrop complementing what are predominantly berbere sauces. Low lighting contributes to the intimate, romantic ambiance. Nil Bleu has fun mixed drinks too. Normand Laprise, co-founder and once executive chef of Toqué!, practically defines Quebec gastronomy. 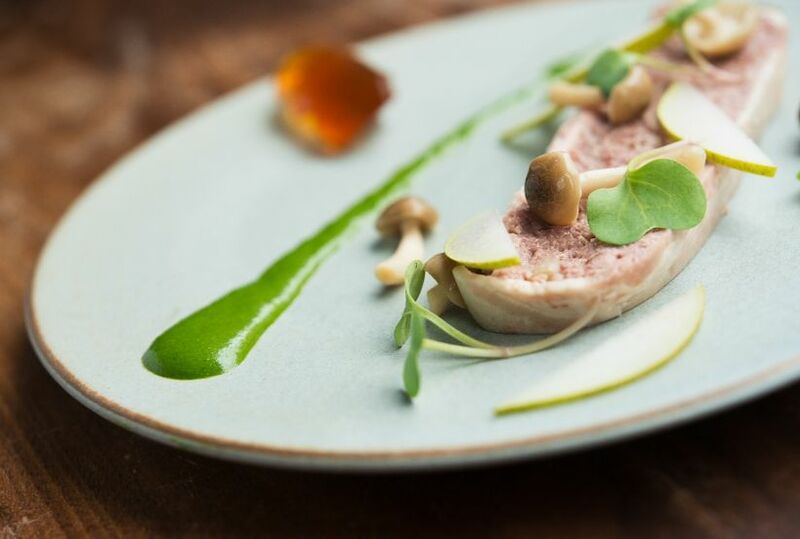 Laprise is a pioneer of Quebec haute cuisine, meticulously plated dishes brimming with locally-sourced ingredients, wild concepts, and stunning flavor combinations. As with Europea, Toqué! is one of Canada's finest tables, with both representing the country's only two Relais et Châteaux members, a France-based international fellowship of luxury hotels and restaurants remarkably fussy with regards to whom they let into their circle. Not that Toqué! is fussy. Nor is it stuffy. Service is quite friendly and down-to-earth. And you don't absolutely need a jacket and tie to walk through the door, but do dress smartly. And count on spending well over $300 for two unless you opt for the tasting menu which generally hovers around the $120 per person price point. But even then, to go full-on epicurean, you'll want those wine pairings, which range from $80 to more than $100 for anywhere from five to seven glasses, each carefully chosen to match every course of the tasting menu. Or keep it simple with one bottle as recommended by the sommelier. Don't be afraid to ask for an affordable one. Located right by Montreal's largest convention center, Palais des congrès, Toqué is sandwiched between Old Montreal and Chinatown which makes for a pleasant after-dinner walk provided the weather cooperates. For a less expensive Laprise option, try Brasserie T, a Parisian style brasserie in the heart of Montreal's entertainment district. The dishes retain some of that refined plating and flavors at a more affordable price point. It's haute French bistro comfort food. Montreal's best Greek restaurant is also the city's most sensuous, if only by cursory virtue of its white curtains grazing surrounding windows like a scene out of a romance novel. Then there are the fish and seafood dishes, ultra-fresh fish and seafood caught just hours earlier. Milos is anything but cheap. However, you get what you pay for with personable if friendly service, elegant ambiance, sizable portions, and food quality so remarkable that even the croutons could be made from bread flown in from Greece. Milos is consistently ranked not only as the city's top Greek restaurant but as one of Montreal's best dining experiences across the board. Try Milos' late-night menu at a discount of the normal price. Montreal bistro and French brasserie Les Enfants Terribles has six locations in and around Montreal. But for the purposes of romance, you'll want to make a beeline for its Au Sommet PVM location. The view is to die for, given it's one of Montreal's highest restaurants, 44 floors above ground level. The ambiance is smart casual and the food ranges from comfort fare to elegant French cuisine with Asian accents. All budgets could work here, from $50 for two if both parties stick to the simpler mains and go easy on the booze, to $200 for two for multiple courses with wine and tip. Craving paella? How about one with squid, shrimp, scallops, blood sausage, chorizo, and lobster cooked up in a Transylvanian grotto? Mind you, said grotto is actually a graystone Old Montreal heritage building. And it's not a grotto. It's Barroco, a ground floor upscale restaurant that plays with French and Spanish flavors to create a seasonal menu lifted up by seasonal truffles. Known for its cocktails (and fun, personable, even showy bartenders) as well as its well-executed dishes and top-notch service staff, Barroco's dimly-lit, castle-like ambiance oozes date night. An evening for two here can easily exceed $250 with wine and cocktails. There's a mild see-and-be-seen vibe too, so keep those duds smart. For years since its 1989 opening, La Colombe was Montreal's best bring-your-own-wine restaurant. The competition has since wised up yet, but it is still in the top three for value, service, and quality. A small bistro on the Plateau, this small dining room serves fine French cuisine for a steal, like a rack of lamb served with blueberry sauce, black risotto and vegetables with an opener of cold zucchini soup, a house smoked salmon appetizer and a dessert with coffee or tea for $56. And that's the most expensive table d'hôte special of the bunch. Or splurge on one of the biggest pieces of seared foie gras you could hope to be served in this city for $24. Quaint it is, the antithesis of see-and-be-seen with that down-to-earth neighborhood restaurant feel yet elegant and refined in presentation, you can dress up or dress down at La Colombe, it doesn't really matter. Consider this a prime date destination for those of you with expensive taste who are low on cash. Just make sure to reserve ahead of time since there are only two sittings per night, the place is tiny, and its fans are loyal. Auberge St. Gabriel is actually the oldest building in Montreal, erected back in 1688. It's also the oldest inn in North America. Its liquor license was granted in 1754. A lot of history in those walls, there is, a heritage building also rumored to be haunted by, among others, a little girl who perished in a fire sometime in the 19th century. Not that ghosts are especially romantic. But Auberge St. Gabriel has all the makings of a sensual if eccentric destination, from the entrance's giant whale spine to two stuffed headless moose smooshed together with a lightbulb in the center. There really is nowhere else in the city quite like this place, a juxtaposition of old and new, rustic and chic, old-school standard and off-the-wall whimsy. For the purposes of romance, make a beeline to the dining room or terrace in the summer for a meal combining French and Quebec market cuisine, everything from spit-roasted meats to elegant foie gras to a Swiss fondue meal that comes with charcuterie. Anticipate spending in the upwards of $200 for two with wine. Because is Champagne ever not romantic? And if you order the right bottle (ask), staff will hand over the house saber, offering you and yours a quick tutorial on how to whack open your bottle with a sword without wreaking havoc and off you go, sabering your own bubbly into drinkable submission. Not that La Champagnerie is a one-trick bubbly bar. Not only does the price range for the prized liquid cover the gamut, from $8 for a glass of cava and $45 for a bottle of Turkish bubbly to $2,000+ for a bottle of vintage Cristal, but the food is solid, tempting, a shareable mix of Asian, French, Italian, bistro and Quebec influences. Case in point? Try the high-end pho with scallops, shrimp, muscles, clams, octopus, tempura crab, lobster, and filet mignon. The venue also turns into a clubby vibe after midnight so if you wanted to stick around and dance, it's entirely feasible. Great spot for double or triple dates. Also works as a go-to for a girls' or boys' night out. Age range is wide, from twenty-somethings up to the high sixties depending on the time of day. It's difficult enough as it is to find a vegan restaurant, let alone a great one with a gorgeous decor that goes beyond the scene's standard casual approach. LOV is that posh unicorn, a stunning Old Montreal find serving vegan and vegetarian fare in a zen setting. Sample the quinoa fritters, kimchi fries and buckwheat-sweet potato gnocchi topped with hemp-basil pesto. Score a terrace seat if you can.